As the husband of the reigning “queen of sustainable fashion,” Colin Firth has a lot to live up to, British national treasure or not. At the world premiere of Kingsman: The Secret Service in London on Wednesday, the Oscar-winning actor didn’t disappoint. 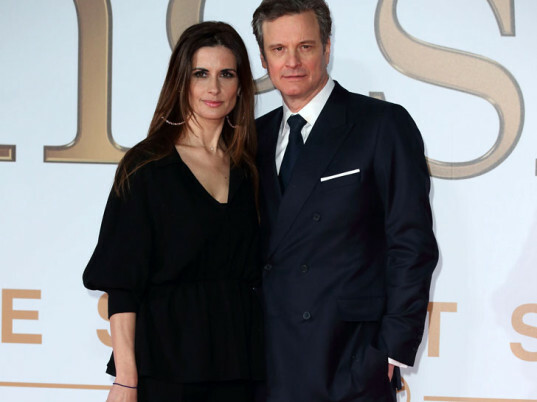 Stomping for the missus’s Green Carpet Challenge, Firth wore a bespoke suit by Martin Nicholls London, the same Savile Row tailor that produced all the suiting for the action-spy film. Firth’s attire—a “very British affair,” according to a press release—was very apt. Clothing, specifically the “classic British gentleman’s wardrobe,” plays a key role in the movie, which has already spun off a ready-to-wear collection online at Mr. Porter. 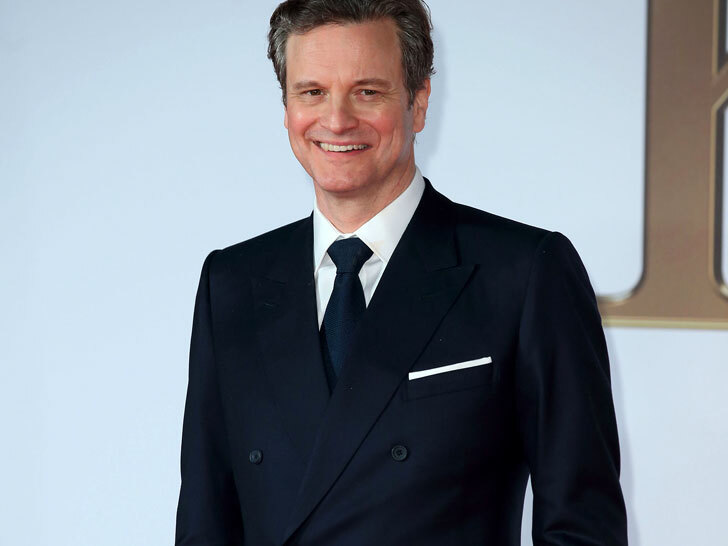 Firth’s suit, keeping with the British-heritage theme, comprises fabric by eminent luxury textile-maker Dormeuil, which used 100 percent New Zealand wool. Dyed according to ISO 14001 requirements by Bulmer and Lumb in Bradford, the wool was spun at Spectrum Yarns in Huddersfield, woven at Pennine Weavers in Keighley, and finished at WT Johnsons & Sons, also of Huddersfield. Livia, not to be outdone, complemented her spouse’s look with a “recycled” Emilia Wickstead suit, fair-mined Chopard earrings, Roger Vivier shoes, and a fair-trade Kayu clutch. “LOVE @KingsmanMovie and walking the #GreenCarpetChallenge with #ColinFirth,” she wrote on Instagram. As the husband of the reigning "queen of sustainable fashion," Colin Firth has a lot to live up to, British national treasure or not. At the world premiere of Kingsman: The Secret Service in London on Wednesday, the Oscar-winning actor didn't disappoint. Stomping for the missus's Green Carpet Challenge, Firth wore a bespoke suit by Martin Nicholls London, the same Savile Row tailor that produced all the suiting for the action-spy film. Firth's attire�a "very British affair," according to a press release�was very apt. Clothing, specifically the "classic British gentleman's wardrobe," plays a key role in the movie, which has already spun off a ready-to-wear collection online at Mr. Porter.